Online dating used to be outside our general society. Something for “other people” to try and talk about. Meeting someone online was not something people tended to advertise. Even talking about it was quasi-taboo. Now people don’t even bat an eye at online dating. Tell a friend you’re meeting a new person for coffee or a drink, someone you met online, and odds are they’ll wish it goes well for you. Meeting someone online, while not quite a norm yet, is more than socially acceptable. 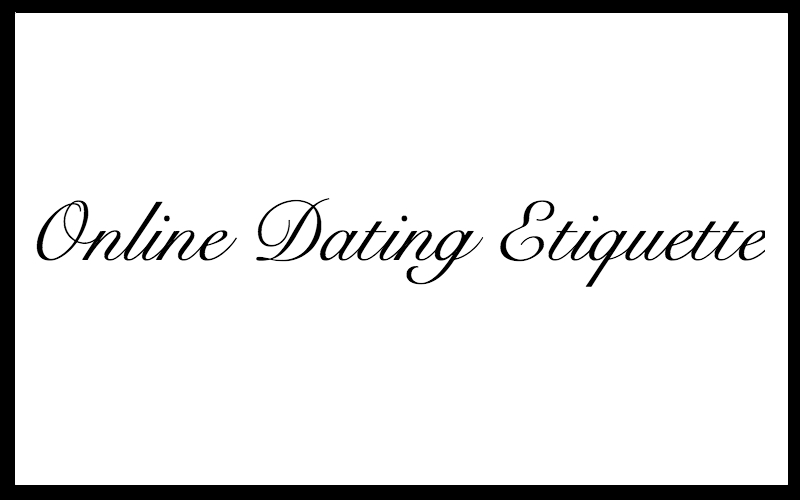 As online dating progressed through the last two decades, and the internet for that matter, an etiquette emerged. Be heard, but don’t be overheard. Be seen, but don’t stick out (Notice I said “stick out” not “stand out.” Standing out is a good thing!). Be good, but don’t give off any scent that you personally think you’re good. This article is not meant to be an exhaustive list of what to do and what not to do. I believe that everybody is different and everybody has his or her own unique set of circumstances. That means that what works for one person may not work for another. This article is meant to give guidelines on how to pick a username that works for you and not against you. Do read it. Do: Choose a username that you like. Others will see your username below your photo, and you will see it every time you log in. Others may message you based upon your username. Think of it this way: imagine two members who are virtually identical, pictures and all. One username is ‘Dotherightthing’ and the other is ‘DophinPuncher.’ Who will get the message? The first one. Maybe you think your username is cute and funny. But it’s not what you think will work, it’s what you think others will think will work. Don’t: Choose a username that gives away your actual identity. It’s a username for a reason. If your name is Steven Ridley, don’t select ‘StevenRidley’ as a username. Anonymity creates a safe barrier between your online profile and your real personal identity. Maybe you are comfortable with using your first name in your profile – that’s fine. But using your full name puts you at a disadvantage. Do: Choose a username that is simple. ‘BillieGoat1942!SammieSam’ isn’t effective. ‘Cloudlife’ makes sense. The longer the username the longer the processing time. No need to make members work too hard to simply read your username. Don’t: choose a username that leaves people guessing. Let’s continue with the above example. What does ‘BillieGoat1942!SammieSam’ mean? Is this guy’s first name Bill? Is it Sam? Does he go by Billie or Sammie? Or something else entirely? If a member has to ask him or herself this many questions, according to the inverse of the Hunger Games, the odds are never in your favor. Do: choose a name that represents you. No need to get picky here. If you like a specific character from a game? Run with it. Fancy a retro game? Make it happen. If you go this route, whoever reads your username should have cursory knowledge of what you like.